I have used Heritage Midwifery to deliver all three of my girls. I always receive such personal care from Maureen. I know she is paying attention to every detail and even looking beyond what I say for any hidden concerns. I have never felt like just another client or customer. Maureen is always so comforting & encouraging through the whole pregnancy and especially during labor & delivery. She has never pushed me or my husband to do anything we aren’t comfortable doing. She allows us to have our babies our way as long as she is confident baby & mom are safe. My husband and I have grown to love Maureen dearly over the years and can’t imagine having anyone else deliver our babies. After giving birth in an interventive hospital setting we were delighted with the calm, un-rushed atmosphere. My husband said that in the hospital he felt like he had no control of the situation...that he was more of a bystander. But at home he was an active participant in the birth process. 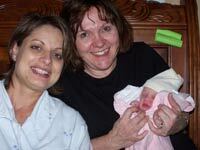 I am very pleased with my home birth experiences, and so blessed to have worked with Heritage Midwifery. 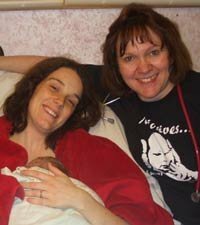 I can’t imagine anyone having a more comforting presence than Maureen, who works with great skill, gentleness, and competence – not only during labor but throughout the prenatal and postpartum care as well. 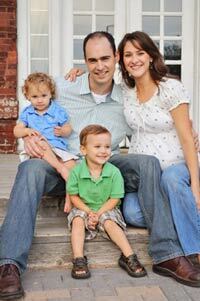 Maureen exhibits a great love for God and His design for Christian marriage and family. She not only cares about the physical health of her clients, but also their spiritual and emotional well-being. Maureen’s genuine delight in the whole miracle of pregnancy and birth, as well as her years of experience, helped me to anticipate with confidence each birth of my three children. We have enjoyed getting to know Maureen these past four years and appreciate her commitment to a professional, holistic midwifery model of care. She has respected our wishes and privacy at each birth in our home. She has blessed us with her quick thinking and vigilance during the labor process of our three children. Maureen has a loving and compassionate personality. She is quick to help wherever she can, whether that be with information, questions, or helping direct the mother, father or helpers. She even went out of her way to deliver my baby on the same day she had delivered her grandbaby! Maureen went above and beyond to help my wife with her dietary needs as a person with Celiac Disease. We also appreciated the extra support she gave postpartum in the early days of breastfeeding. 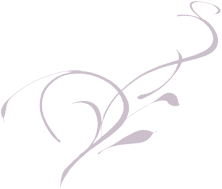 We have now used Heritage Midwifery for all four of our babies born at home. Maureen's blend of Christian emphasis, very personal care and concern for me and especially my wife throughout the nine months and beyond, as well as her vast medical knowledge (and I do mean vast!) have given us the vehicle to experience the miracle of birth safely and successfully in the comfort of our very own home. I cannot say how grateful I am! Maureen has been our midwife for all four of our children. Her caring heart, matched with her well-rounded knowledge of midwifery has made her the ideal choice for our family. Maureen is very careful, listens well, encourages and educates her patients, and is a great friend. She has been excited to have Brian involved every step of the way. 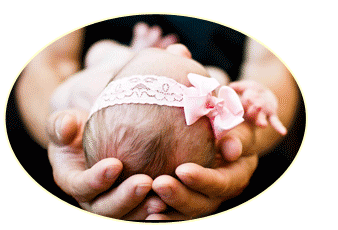 We highly recommend her to anyone seeking the care of a midwife. She is a treasure. 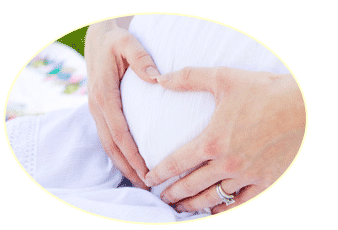 We have used Heritage Midwifery for all of our children's births, and are very pleased. 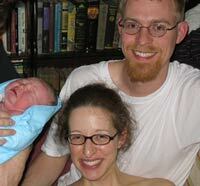 When we became pregnant with our first child, we didn't know much about home birth, and were somewhat apprehensive. After meeting with Maureen we were much more comfortable with the idea. 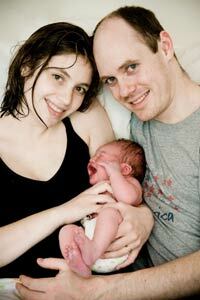 I really appreciated the relaxed approach we were able to have at both the prenatal visits and the birth itself. Maureen provided us with thorough information about our options throughout the pregnancy, while giving us wide latitude to make our own decisions as we saw fit. This freed us from the cookie-cutter approach that hospitals take toward birth, and gave us confidence that she would be there every step of the way to ensure things went smoothly. 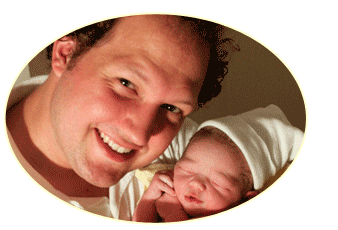 Our first child had an extremely precipitous birth of 2 hours start to finish, and came with no warning. We were impressed with how Maureen calmly and knowledgeably handled things each step of the way through that critical time. I think my favorite part of home birth is the care I get during and after my baby’s being born. Maureen was very good at coaching me through birth, even being right next to me breathing with me! She was careful to have things cleaned up quickly and then to give us time together with just our family. It is wonderful to be in my own home. . . I had access to my own clothes and food, and was not awakened by unusual hospital noises (besides baby of course!). During my leisurely, hour-long prenatal visits with Maureen, she helped me work through the fears and anxieties I still had about birth. Instead of offering me more tests and technology to put my mind at rest, she helped me gain confidence in my own ability to birth, in the process of birth itself, in the team of support I would have with me, and also in God's loving and sovereign care over me and this baby. She helped give me what I needed to head into birth unafraid, and for that I will always be grateful! Paul and I just want to thank you again for the wonderful experience you helped our family achieve when we delivered our last child at home. 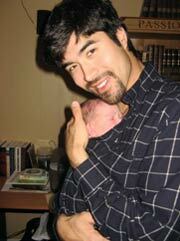 It was the most beautiful experience that transformed the birthing process for me and for my husband. God bless you and the work that you do.